user warning: Expression #1 of ORDER BY clause is not in SELECT list, references column 'hotkilns_live.n.created' which is not in SELECT list; this is incompatible with DISTINCT query: SELECT DISTINCT n.nid, n.vid, n.title FROM content_field_knowledgebase_actions nr INNER JOIN node n ON n.vid = nr.vid AND n.status = 1 INNER JOIN node_access na ON na.nid = n.nid WHERE (na.grant_view >= 1 AND ((na.gid = 0 AND na.realm = 'all') OR (na.gid = 0 AND na.realm = 'content_access_author') OR (na.gid = 1 AND na.realm = 'content_access_rid'))) AND ( nr.field_knowledgebase_actions_nid = 6489 )ORDER BY n.created DESC in /home/hotkilns/public_html/sites/all/modules/nodereferrer/nodereferrer.module on line 428. 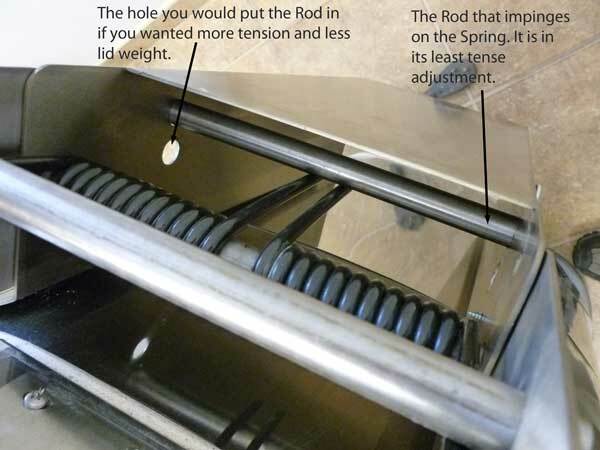 The torsion spring has extensions on the top and the bottom that impinge on parts of the assembly to create tension and reduce the weight of the lid. 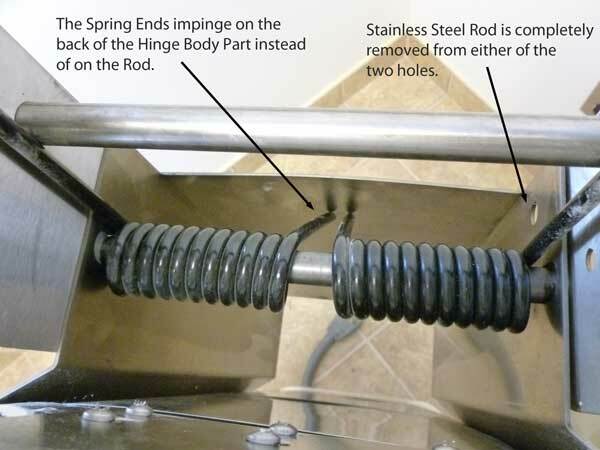 The bottom extensions impinge on a stainless steel rod. 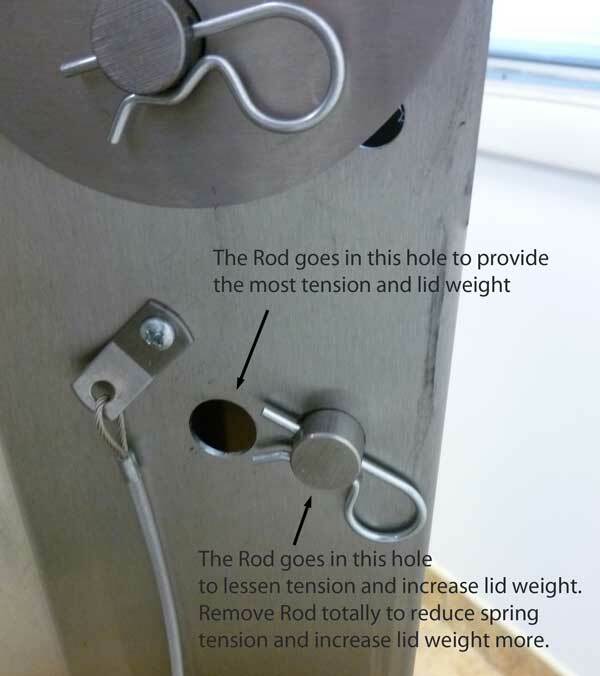 This rod can be moved into one of two holes that are provided in the Spring Body Part. The set of holes that is closer to the kiln body will give you more tension and less lid weight. The set of holes that is further form the kiln body will give you less tension and more lid weight. In addition, you can remove that stainless rod altogether and get even less tension and more lid weight. See all three photographs for an explanation.